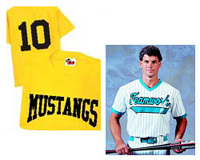 Imprinted t shirts and work shirts Montgomery County, Maryland, Screen Printing and Embroidery shirts and T shirts, custom promotional imprinted shirts Maryland, located Germantown, Montgomery County, Maryland - imprinted uniform shirts, imprinted team shirts for schools and team sports. VKT Apparel located in Germantown, Maryland, serving the Montgomery County area and greater Washington, DC metro area. Promotional products--imprint your logo on everything you need to promote your business from shirts and jacket to pens and cups. We create customized apparel for your sports team or business. Our promotional shirts are a great way to advertise your company and build recognition for your group! We can provide all your school team sport shirts in screen printing or embroidery for a fresh new look. Promotional shirts advertise corporate character by picturing your corporate culture. Image is the initial deciding factor influencing a customer to do business with you. Your shirts must represent your company's style. VKT Apparel and their promotional products service division allows your company to enhance its image on promotional shirts by allowing you to tailor color, logo, design, and artwork. 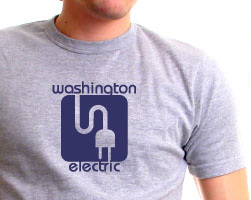 You create the promotional shirts that best reflect you company ideals. In an age where time is money and business is increasingly more complex, VKT Apparel and their promotional products services division offers a professional and reliable service for all your promotional and marketing products from artwork generation through to sourcing, production and distribution. All it takes from you is a telephone call to our Customer Service department, 301-528-4301. Artwork is accepted electronically via email or CD disks. Camera-ready artwork is welcome as well. If you are unable to create your artwork, our creative team can help design your art to maximize the visual impact desired. VKT Apparel is located in Germantown, Maryland, serving the entire Montgomery County, Maryland area and the nation. Use this link to see more information on VKT Apparel's offers for all types of imprinted promotional products. 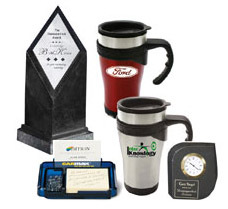 VKT Apparel is your "one-stop shop" for all your promotional product needs. Whether your shopping for a small gift to leave behind when visiting new client, or your planning for the convention booth at a trade show, you'll find everything you need at VKT Apparel.